It feels like “The boomers are coming! The boomers are coming!” has been a corporate rallying cry for a number of years now as a range of industries have worked to prepare for the aging of the population. But successfully targeting the baby boomer generation has proven elusive for many. A careful examination reveals that finding long-term success within this demographic will require evolving with the boomers as they age — while helping them age without them realizing it. Seniors will drive U.S. population growth as the boomer generation ages. The 65-and-older population is expected to grow by 30 million people between 2015 and 2035, increasing by nearly 65%. The non-seniors population is expected to grow by only 13 million people, or just 5%, over the same 20 years. No surprises there. What is interesting is how the growth within the over-65 group will differ, and shift dramatically, as boomers continue to age in the 10 years before and after 2025. From 2015 to 2025, the number of 65- to 84-year-olds will grow by 40%, double the rate for seniors age 85 and above. In the 10 years after 2025, however, the over-85 population is expected to grow by over 60% — four times the projected 15% growth rate of the 65- to 84-year-old group. This difference in growth trends between senior segments really matters because the behavior of seniors shifts dramatically as they age. From 65 to 75, seniors look a lot like their pre-senior selves. Sure, the kids are finally gone, Medicare is their primary payer, and they are likely to have retired or transitioned to a new career or job that provides them more leisure time. But most other aspects of their lives will be very similar to their earlier years. First off, because they are staying put. In fact, the downward migration trend that begins in the post-college years, when moving rates peak, continues all the way into people’s mid-70s. While some seniors move to warmer climates, only around 5% of them move each year, and this includes local moves to smaller residences. Seniors also tend to remain in fairly good health from ages 50 to 69, with their need for prescription drugs staying fairly stable during those years. Spending on other items goes down some as seniors cut expenses due to less income coming in, but the percentage of overall spending on items such as clothing and food remains fairly constant. Besides looking and behaving a lot like non-seniors, boomers definitely do not want to be called or identified as “seniors.” Knowing this is key to successfully tapping into their buying power. Young seniors do not like shopping in “senior” stores or buying products that are specifically branded for seniors. If they did, then stand-alone concepts from Gap, Gymboree and American Eagle Outfitters would have been more successful. Boomers want to feel hip and young, but they understand that their needs are somewhat different from what they were when they were 40. Instead of creating dedicated offerings for young seniors, stores will be more successful if they offer products and services that are extensions of their offerings for non-seniors. A number of product categories include offerings targeted specifically to seniors even though a non-senior replacement or equivalent is available. The opportunity lies in keeping the non-senior brand’s look and feel while developing line extensions that specifically meet the needs of seniors, without being obvious about it. The same approach can be applied to services. Navigating insurance selection has become a hot topic following the passage of the Affordable Care Act, but there are about 1.5 million new Medicare enrollees each year. Creating a comprehensive service to help consumers navigate government-mandated health care coverage that includes Medicare, the Affordable Care Act and Medicaid managed care is a perfect way to provide a service for seniors as a part of a broader offering instead of as a dedicated senior effort. The opportunity will shift to older seniors after 2025 as the boomers age and their attitudes change, finally, as their needs do. The shift will be driven primarily by a deterioration in older seniors’ health, which will create a ripple effect in a number of areas. Health deterioration is more common as individuals reach their mid-70s, and by the time they are 85, seniors are really in a different demographic. The most prominent change is that their spending on health care more than doubles, from over $15,000 per person to nearly $35,000. Per capita, those age 80 and older receive 70% more prescriptions than people in their 60s do. Seniors are much more likely to move at this point either to a senior facility or closer to their children: Nearly 10% of seniors over age 75 move annually. Deteriorating health also impacts spending on items such as food and entertainment, which falls considerably because of a combination of increased health care expenses and decreased desire and ability to shop and enjoy other ­recreational activities. By the time that boomers hit age 85, they probably will have come to grips with being “seniors,” but they will still not want to admit that they need help — and they will desperately want to hold onto their independence. The opportunity for drug chains will be to provide seniors with services that help them manage their health while maintaining their independence so they do not feel so old. Medication and overall therapy adherence programs, remote monitoring of health conditions, and comprehensive medication management are all areas of opportunity. Although the large opportunity is not immediate, these are new programs that will take time to develop — so the time to start planning is now. Baby boomers have redefined their demographic for every age group they have passed through, and their time in retirement will be no different. Successful strategies for capturing boomers’ tremendous purchasing power as they age will take advantage of their defiance of the “senior” label while addressing the fact that their needs have changed and will continue to change. Adapting these strategies over time and as boomers move into their 80s will prolong companies’ success. 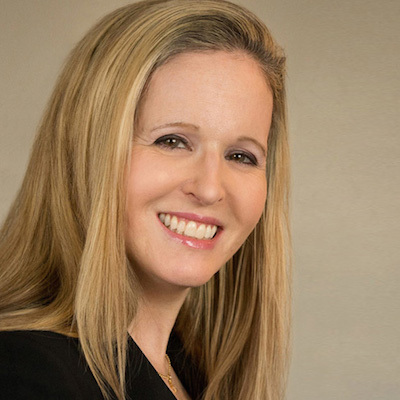 Deborah Weinswig is managing director of Fung Global Retail & Technology.